Thank you all for sharing in my excitement about my blog and Cooking Light! I am still very excited about the opportunity that has presented itself - I think 2013 might be a good year for my little blog! Speaking of 2013 I have already started prepping for one of my New Years Resolutions (read my New Years Resolutions here)! Yes, you heard me correctly! I have already started for my Half-Marathon! 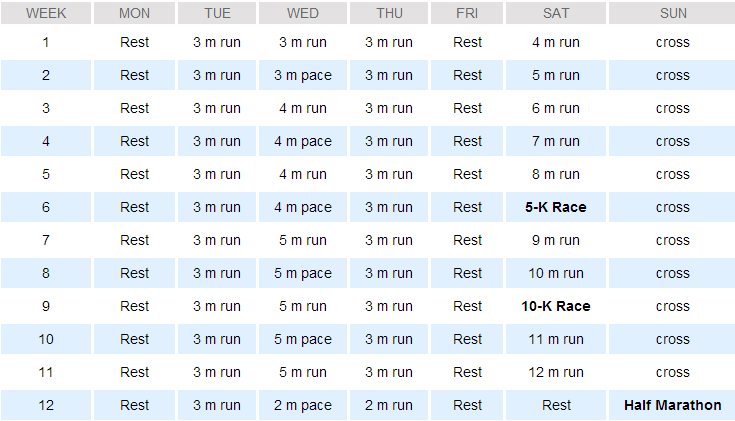 I am following the Hal Higdon Half Marathon Training program, and so far so good! 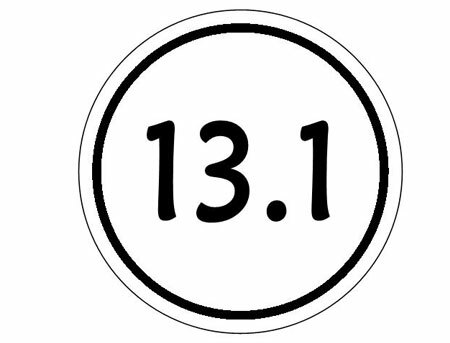 I didn't do any formal training for my 10 miler, but I thought it would be best to tackle 13.1 miles with a little training! I plan on running my half marathon in early May! That gives me over 12 weeks to complete training! Derek has decided to tackle this long milage with me along with two of my co-workers - And I have to say it will be good to have all of them as running partners. 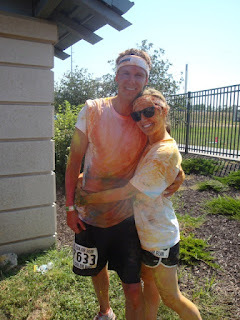 I absolutely love running races with Derek, he is such a good motivator! All 4 of us will be following the same training plan! I have to say I am a bit nervous but super excited to tackle a half marathon. I haven't decided what time I would like to finish the half in. My only goal right now for the half marathon is to completely run the whole race! So here is to training and to completing one of my 2013 New Years resolutions! Tell me, what is the furthest race you have run? That makes me feel so much better, I am glad it is a good training! I would love to run a half in Disney! That is awesome! Good luck on the training! We'll have to get some post-work Calhoun runs in. And to answer your question: 50 miles! Thank you! Yes, I agree we need some post-work Calhoun runs! I want to test out my new watch!! Hope all is well!